Mindfulness is the key to inner peace. Today we spent a large part of the morning cleaning up around our home. Vaani and I simply love house-keeping. Indeed, it does make us happy. In fact, to me, personally, house-keeping, is a meditative practice. It is not a chore. Yes, it does become a challenge when you have to juggle with your other schedules and have to try and fit in quality time for house-keeping. But I have realized that I am very mindful when I am cleaning up around the house. I go about it calmly, methodically and, however physically strenuous it may get at times, I enjoy the process. I love doing the dishes or cleaning surfaces, I invest time to get the toilets to be squeaky clean and generally love the idea of having a dust-free home environment – something that’s so difficult in Indian conditions and so requires being at it continuously, consistently! The Vietnamese Buddhist monk, Thich Nhat Hahn, a.k.a Thay, says it so beautifully: “In mindfulness one is not only restful and happy, but alert and awake. Meditation is not evasion; it is a serene encounter with reality.” The essence of what he has to say is contained in the last phrase – ‘it is a serene encounter with reality’. Most of the time, almost all of us, resist our reality. We don’t like what we are going through. Or we dislike what we have to do. Or we are so engrossed in dealing with our ‘extended’ realities that we miss the magic and beauty of everyday living. Thay recommends that we must awaken to the reality in each moment. And not just to be stuck with our ‘extended’ reality. For instance, if you keep worrying about a relationship issue you have, and keep mourning the fact that you are unable to fix it, how will you enjoy a sunrise? So, in this context, your stagnant relationship is your ‘extended’ reality. But the more immediate one is the sunrise. Enjoy it, says Thay, because soon it – the moment bearing the sunrise – will be gone. Meditation is really what the art of living is all about – the ability to value each moment, cherish it, be joyful in it and move on to the next moment with undiluted enthusiasm. How can you enjoy a moment when it is painful, you may wonder? What if someone is dead? What if someone’s betrayed you? How will you cope with a moment when you are wishing it away? That’s why Thay prescribes a ‘serene encounter with reality’ – he says, don’t resist, don’t fight, instead accept, what is. Accepting what is, is the best way to inner peace. When you accept your reality, you begin to experience joy in the moment. The human mind is like the human body. It can be trained. I have trained my mind by practicing both silence periods (mouna) and mindfulness – immersing myself in what I do. Over time, I have learnt to banish worry (despite the daunting circumstances my family and I are faced with; read more here: Fall Like A Rose Petal.) and just be in the moment. Often time, cleaning around my house gives me that sense of equanimity. Through my own experience I know that if you immerse yourself in whatever you do, you too can be happy, despite the circumstances! When painful memories come calling, don’t fear them…just let them go! Examine whatever haunts and traumatizes you with detachment. A young lady manager confided in me that she was bullied and harassed by her boss. So she quit her job and joined another organization. But she says she can’t shake off her painful memories of being harassed. She has become very wary now in her relationships with her new boss and other male colleagues. “I am always imagining that the world is full of crooked, cruel men,” she lamented. She wanted to know if she could get rid of her debilitating memories. Now, memories are funny things. They just crop up – often randomly, without any ostensible trigger. When they are about painful situations that you have been through, such memories can weigh you down for days and weeks on end at times. Because they are difficult to deal with, you will want to shut them away. But they refuse to budge. This is why painful memories linger on and continue to haunt you. There is an effective way to deal with them though. When I am confronted with a painful memory, I let the event replay in my mind completely. I allow all the characters and emotions – the anger, grief, guilt, or any other feeling associated with the event – to play out and examine everything, and everyone, clearly. 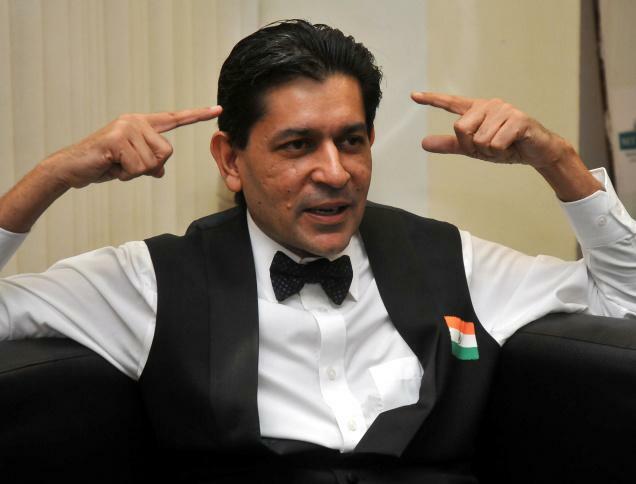 In such times, I play the role of a witness, a fly on the wall, who is watching the entire proceedings dispassionately – just as someone watches a movie. Every time I do this, I find myself detaching from whatever has happened, even if the event has affected me deeply in the past, and, perhaps therefore, I am able to forgive the way I have been treated by someone or even by Life itself. Memories are just a way of your mind dragging you to live clinging on to the past. And as long as you are living in the past, especially revisiting traumatic times, you cannot enjoy the present. The only way you can deal with debilitating, painful, draining memories is for you to be aware and understand their futility. Of what use is a memory of someone having betrayed you? Can you go back and change things? Does feeling guilty over a mistake you committed – however grave it may have been – ever going to help you undo what you did? I have struggled too, for a long time, over memories of being called a cheat by members of my own family (I have recounted my painful experience in my Book, Fall Like A Rose Petal). For months and years I grieved over trying to understand why my family failed to understand me. Then one day, during my mouna (silence period) session, it suddenly occurred to me that my pining for understanding from my family members was making no sense to them. I owed them money. And until I repaid them, the label of “cheat” was unlikely to be ripped off me. That’s when I concluded that revisiting the memory itself was futile. Unless I gave my family what they wanted – money – there was going to be no closure to the episode from their side. And since malicious words once spilled, erroneous labels once stuck, baseless opinions once expressed, cannot really be taken back, it would never matter, not to me, not any more, what my family thought of me – even after I repaid the money! That’s really when I understood how futile it is to hold on to painful memories. You too can make peace with your painful memories. Just examine them with detachment. And you will, pretty soon, realize how meaningless it is to hold on to them. 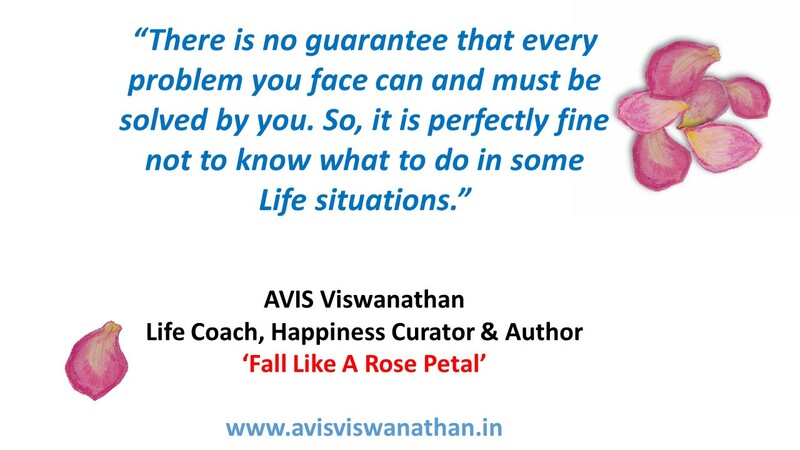 Author AVIS ViswanathanPosted on December 17, 2016 December 17, 2016 Categories Inner Peace, Intelligent Living, Mindfulness, Spirituality, UncategorizedTags Art of Living, AVIS Viswanathan, Cheat, Fall Like A Rose Petal, Happiness, Happiness Curator, Inner Peace, Intelligent Living, Let Go, Letting Go, Life Coach, Memories, Mindfulness, Mouna, Silence Periods, Vaani, Yadoon Ki BaraatLeave a comment on When painful memories come calling, don’t fear them…just let them go!